Our clocks and watches are set to civil time, which is designed to follow the Sun. We call the average time between noon and noon one day, and divide that period into 24 equal hours. It takes roughly 365.25 days for the Earth to revolve around the Sun; in order to keep the calendar in phase with the seasons, we add a leap day every fourth year. Civil time isn't very useful for astronomical work, but it is the version embedded most deeply into our brains because we use it every day. Therefore, I find it a good idea to include civil times in observing plans, because my brain doesn't function very well late at night. An event which is listed as occuring at 5 AM can be checked simply against my own watch or bedside table. Most states in the US turn their clocks forward an hour in April, and backward an hour in October, for Daylight Saving Time. The sudden switch makes civil time a very poor choice for any calculations. On what date does Daylight Saving Time start this spring? Astronomical events are calculated and reported in UT because UT has the same value everywhere. If a variable star is due to enter its eclipse at 5:35 UT, then observers all over the world know when to look. UT is, in essence, a giant clock which can be shared by the whole world. UT = local time - 5 hours (during Eastern Standard Time) = local time - 4 hours (during Daylight Saving Time) That change of one hour due to Daylight Saving Time can be really annoying. 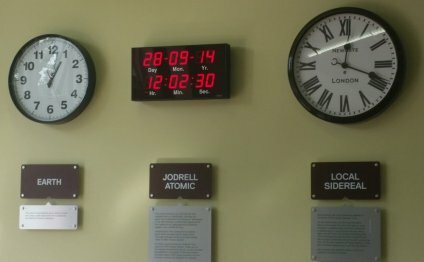 What is the current difference between UT and the local time in Seattle? Below is a small section of a larger chart which tells of an occultation of a star by the asteroid (324) Bamberga later this month. Here in Rochester, on what local date, and at what local time, should we look for the event? Different type of time lapses as i have been away.